A city rendering of how the new jail in Queens might look. Formal consideration of New York City’s plan to build four new jails began Monday, as the City Planning Commission certified the de Blasio administration’s application for a complex and controversial set of land-use actions that would pave the way for closing Rikers Island. The certification starts the Uniform Land Use Review Procedure (ULURP), a seven-month process that culminates with City Council approval, amendment or rejection of the proposal. ULURP, however, will be only the beginning of a years-long process to design and build the jails and coordinate the movement of detainees on and off Rikers Island. There are multiple uncertainties. De Blasio administration officials say the exact sequence of constructing and populating the new jails is still being worked out, but that process is likely to span the years from 2021 to 2027. The price-tag for the work—which will be the city’s first major use of a design-build process in which one firm handles the design and construction of each facility—is still not known. It is uncertain whether the state legislature will move to reform the criminal justice system in a way that makes closing Rikers easier. A new mayor and Council will be in place during most of the actual construction process. And there’s been almost no talk about what will happen to Rikers Island when it no longer houses tens of thousands of people awaiting trial, waiting for transfer to prison or serving short sentences. The effort faces multifaceted opposition, from those who believe the problems with Rikers have been exaggerated and prefer the status quo to local opponents of the chosen locations for new jails to incarceration abolitionists who argue it is immoral to build new jails. They are countered by a consensus of elected officials and advocates who, motivated by federal investigations and harrowing tales, transformed the notion of closing Rikers from a pipe dream to stated city policy—and did so over a remarkably short period. The number of outstanding questions reflects the size of the population involved, the magnitude of the construction projects the effort entails and the unique nature of building temporary housing for people who live there involuntarily. If nothing else, the sheer number of intricacies casts deep doubt on the notion that Rikers could have been closed within three years. ULURP begins with review by community boards covering the four neighborhoods where the new jails would be constructed. After those boards render advisory opinions, the four borough presidents provide their own recommendation. Then the Planning Commission makes a binding vote, followed by the City Council and mayor. Administration staff told the commission that 70 possible sites were considered. The four the city settled on are 124-125 White Street in Manhattan, 275 Atlantic Avenue in Brooklyn, 126-02 82nd Avenue in Queens and 745 East 141st Street in the Bronx. 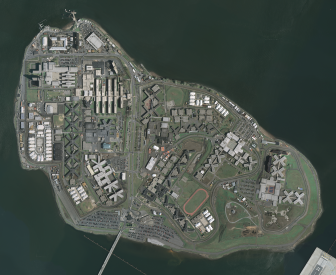 In a departure from the recommendations of the blue-ribbon panel (called the Lippman Commission) that studied and recommended Rikers’ closure, the de Blasio administration has opted not to build a jail on Staten Island. Each new jail will house up to 1,437 people. Each of the four sites includes some area for community facilities, with additional retail space in the Bronx, Brooklyn and Manhattan. The Bronx site includes a mixed-use building that will contain 234 units of affordable housing, with income levels yet to be set, according to documents posted by the Planning Commission. The proposed sites include a total of 1,600 parking spaces for staff, plus an additional 676 public parking spaces at the Queens site. City officials said ample parking was included to address community concerns about the impact of the facilities on local parking. The draft environmental impact statement identifies traffic as a likely adverse impact at all four sites. The plan presented by the administration on Monday includes changes since the last public presentation. The four jails will provide 5,750 beds instead of the 6,000 first proposed. The target population is 5,000, but city officials say jails need excess capacity to allow facility repairs and the separation of inmates. The new plan simply uses an “efficiency rate” of 15 percent rather than the 20 percent used in earlier versions. As a result of the lower population counts, the heights of all four jails have been reduced (Manhattan by 45 feet to 450 feet, Queens by 40 feet to 275 feet, Brooklyn by 35 feet to 395 feet and the Bronx by 30 feet to 245 feet). “We’ll explore other opportunities to reduce the heights in a way that doesn’t affect program,” the director of the Mayor’s Office of Criminal Justice (MOCJ), Elizabeth Glazer, told the commission. In another change, instead of being spread across the four facilities, women detainees and inmates will be housed only in the Queens facility—a step city officials say they took after consulting with stakeholders who worried about the delivery of services for women. The Queens facility was already where the maternity unit and nursery were to be located. The question of where to house women detainees is just one of the complexities involved in closing Rikers and meeting the city’s expressed goals of locating inmates in locations that will put them closer to families, to courthouses and to mass transit while also trying to navigate neighborhood sensitivities. As administration officials pointed out, these goals will require some deeper thinking when someone is arrested in a borough different from the one where they live: Should they be housed closer to court in the borough of arrest, or nearer to their family in their borough of residence? While each borough gets the same number of beds under the plan, it’s also popular that demand will be higher in some boroughs than others, meaning some detainees might not fit in the jail that represents the optimal location for them. The Bronx jail is the only one not being built on a site where a detention facility currently exists, and it’s the scene of the most intense community opposition. 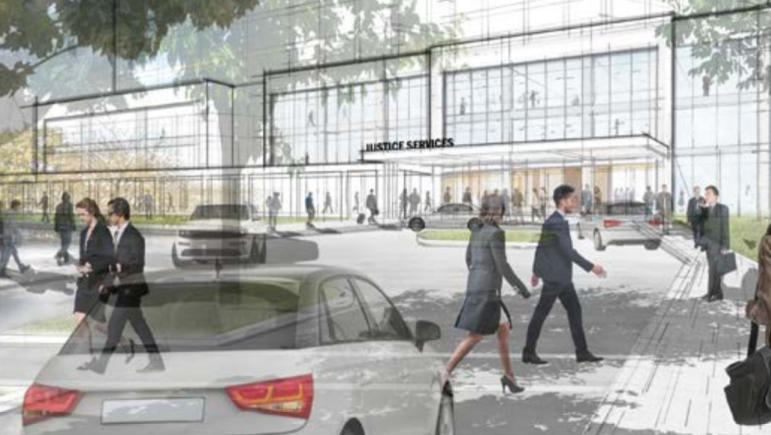 Bronx Borough President Ruben Diaz, Jr., and others have proposed other sites near the courthouse on 161st Street, but city planners say they aren’t big enough. But the site the city has chosen, currently an NYPD tow lot in Mott Haven, is a mile from the courthouse. For that reason, the city initially proposed an arraignment court there. In the proposal certified on Monday, the administration removed the arraignment court in order to reduce the size of the proposed building. However, some space at the site will still be reserved for court activity—because there’s a court on Rikers dedicated to handling parole-related cases and some new location must be found for it. This raises the possibility that parole cases from around the city will have to travel to the Bronx. Asked by the planning commission about the fate of the current occupant of the site, the administration said it was still figuring out where the tow pound will go. Planning Commissioner Chair Marisa Lago, who also serves as the commissioner of the Department of City Planning, noted that the borough-jails project represents the first use of design-build on a project going through the ULURP process—which, she said, raises “novel issues” for the commission. Lago announced that the city’s Department of Design & Construction (DDC) had launched a “stakeholder engagement process” run by AECOM and Hill West Architects and headed by a design manager named Beverly Pryor. Pryor will coordinate charrettes for professional designers and public engagement sessions, Lago said. There will also be a Design Advisory Group composed of representatives of DDC, MOCJ, the Department of Correction, City Planning, the city’s Design Commission, the four affected borough presidents and the City Council speaker. Lago says the Planning Commission will communicate regularly with the Advisory Group through the issuance of four design requests-for-proposals for the new sites, a step likely to come well after ULURP is done. There was already interest Monday in one design element: Regulations normally would require a building on Atlantic Avenue to be 50 percent transparent. But the de Blasio administration, citing security requirements, is seeking a special rule that will permit only 30 percent transparency. As Planning Commission member Anna Hayes Levin noted, that change will affect how the building interacts with its neighborhood. Levin wasn’t the only Planning Commission member to focus on the human impact of the day’s discussion. At a briefing on Friday, however, Glazer had assured reporters, “We have been extremely successful so far in basically creating bail reform without state action. They will be helpful and will help us do it faster. We anticipate being able to reduce that population even without that reform.” There are currently about 7,800 people in city jails, down from 11,000 when de Blasio became mayor. Perhaps the most important question of Monday’s event was one that was not answered. “What are the formal actions that are needed to close Rikers and stop using the barge?” asked Commission member Michelle de la Uz, referring to the Vernon C. Bain, a jail barge currently docked off the Bronx. The answer—key to addressing concerns that by building new jails the city, in theory at least, is expanding rather than shrinking its capacity to incarcerate people—will have to wait until later in the ULURP process, Lago said, when the Department of Correction is on hand to answer. Only DOC can say what step would take the closure of Rikers beyond the point of no return. The plan should be titled – “LaGuardia Airport Expansion”. BDB wants the new expanded airport to be named DiBlasio airport. There really is no other likely use for Rikers once abandoned. Double the air traffic means double the noise, pollution and auto/bus traffic on the GCP. While a vital tool, FOIL has also long been a source of frustration for reporters, advocates and others.